Most people have heard the name Leonardo Da Vinci associated with great works of art, but did you also know that he was a great scientist, inventor, mathematician and even a musician? The man was exceptionally intelligent and curious and made over 20,000 pages of notebooks and drawings on different inventions, designs and science observations including a giant crossbow, a flying machine and even a helicopter! That’s pretty good for someone that lived in the 1400s! 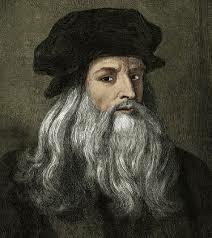 Come follow Leonardo in an exploration of art, inventions and science! Learn logic and follow your own curiosity learning about machines, inventions or great ideas. Learn to embrace and love writing and find passion in learning and presenting on something of your own choice. Units will be 4-6 weeks with hands on activities. Points will be given for going above and beyond through outside (optional) homework. We will be working on skills to prepare for the Scholar Phase which are: notetaking, time management, project based learning, reading, writing, research, participation and group learning, memorization, and critical thinking. Cash in your points for cool prizes! Be able to write 6 sentences in one sitting (grammar, spelling, capitalization and punctuation are not necessary). Being able to put your thoughts down on paper that you can read is essential for what we’ll be doing. Parents agree to hold weekly mentor meetings with their child.